Have you ever been to one of the home improvement big box stores that advertised about how great their customer service is, or at their store, the customer is always right, only to show up and wait, wait and wait for someone to help you. Or maybe your standing there in the isle and you see a sales associate just walk right by you. Even better yet, someone actually asks you for help but but then gets a phone call and cuts you right off, and the phone call was from their personal cell phone… wow. How about this one, I absolutly hate when this happens… “Where would I find __________?” and the response… “We don’t carry that”. You know that they carried this item before so you walk around a little and you find what they said they didn’t carry. Unbelievable! As a young adult I used to work at “Homebase”. Some of you may remember them. They were one of the first big home improvement stores here in Northern California in the early 90’s. Well, I worked there (for about 6 months) and some of these sales associates would joke around in the break room how; they saw a customer out of the corner of their eye turn up their isle and they would quickly turn the other way and leave the isle. Sounds crazy right? Well as bad as it sounds, we all have experienced bad customer service at some point or another. I would go as far to say, we have probably experienced more bad customer service or should I say a lack of customer service than have experienced real customer service. I have heard some even say that real customer service no longer exists. Although it is a reality that there is a huge lack of real customer service in today retail/services world, I know for a fact that “Real Customer Service” does still exist. 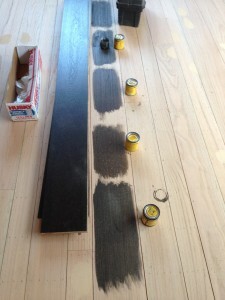 I am the co-owner of DC-Floors and we specialize in flooring sales & installation. At DC-Floors real customer service is alive and well! The following is what each customer who contacts DC-Floors will experience. From the moment you call DC-Floors you will get a friendly greeting from one of our friendly & professional project managers. They will listen attentively to what your needs are and if we are able to assist you with your needs, they will schedule a timely appointment that is convenient for you. When on the phone or in your home you may have questions. Our professional & knowledgeable project managers will take the time necessary to answer all your questions. You will not feel rushed or made to feel like your questions aren’t important. At DC-Floors, our very knowledgeable project mangers are trained to be open & honest with all who seek our advice. 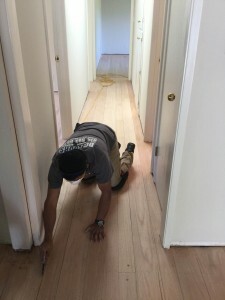 This means, you may think you need to replace all your hardwood floors, (taking up & hauling away the old and purchasing and installing new hardwood floors) but if we can save you money by restoring your existing old hardwood floors, then we will advise you of that. Instead of just trying to land the biggest sale. We know the real cost of both the material and the labor to get the job done right the first time. We take the time to give you a free, fully detailed itemized proposal of your project. We let you know ahead of time if we expect there could be some unforeseen cost and explain to you what those could be and how much additional it could cost. We don’t hide anything or come up with additional cost that you didn’t expect. 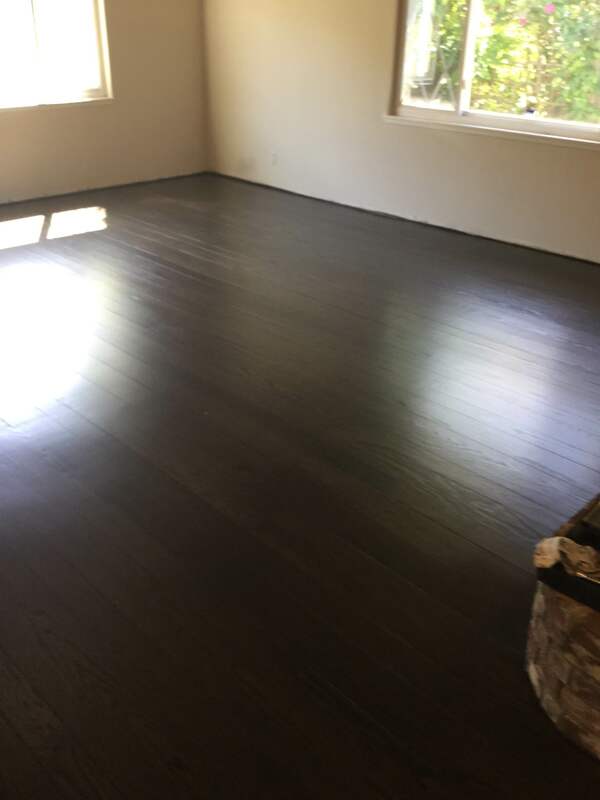 For example: I would not accept a deposit check from a prospective customer for refinishing her hardwood flooring because I believed that she had a warranty claim on her existing floors. I also help her along the way and educated her in the warranty process when she received no help from the flooring company that she originally purchased her floors through. All at no cost. “What a fantastic team!! First off you should know that I am very picky and focused on the details (in other words hard to please) and these guys did awesome! – GREAT COMMUNICATION…. Mark is the guy who does all of the coordination, bidding, etc. and he’s always just a quick text away. Even when he’s busy he’ll immediately let you know and get right back to you. – GENUINELY CARE….. Mark arranged for me to visit a flooring store with the rep they normally use to help me pick out my hardwoods for the remainder of the home (talk about going above and beyond!) 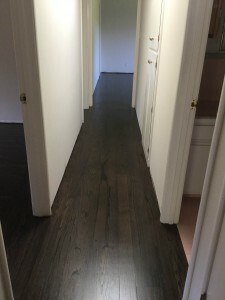 Throughout the whole refinishing the process it was very evident they all had the mindset of making sure I was happy, even if that meant a little extra work for them. When matching the stain David was very patient as I asked him to try a few different combinations and even showed me how the stain would differ on the different boards and rooms / lighting! – VERY RESPECTFUL…..never assumed they could use part of my garage to store their stuff and asked first. The icing on the cake?? The day after they were done Mark came back out to walk me thru the house, ensure I was satisfied, discuss proper care of the floors (which was great because it’s not what we all think it is!) and even gave me a cleaning kit! If you are in the market for new floor covering, carpet, vinyl, tile, hardwood or hardwood refinishing give DC-Floors a chance to earn your business, we genuinely appreciate it. You Are Here: Home > Company News > DC-Floors “Real Customer Service” Does it still exist?